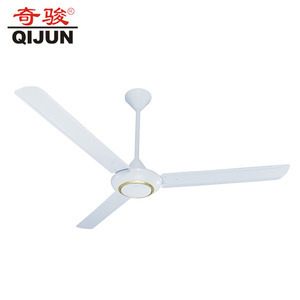 Hot sale 60 inch red kdk ceiling fan malaysia with high quality Hot sale 60 inch red kdk ceiling fan malaysia with high quality Advantages: 1.Motors use"Permawick" ubricating oil,and with temperature control, overtemperature automatic protector. 3.Company Strength Abundant 1.30000 Square meters factory area 2.Above 900 staffs 3.Above 50 junior&senior engineers 4.2000000 sets annual production capability. 4. CE(EMC&LVD included),GS,Rohs,CB,and ISO9001:200 quality management system certifications etc,the factory takes the quality of production as the enterprise's life. Taizhou Haoshuang Electric Appliance Co., Ltd.
Q: Where is your main market9 A: The Middle East, the EU, Africa, South America, the South Asia, the Southeast Asia, the East Europe, to name just a few . Q: What is your minimum order quantity (MOQ) 9 A: As factory,we have no MOQ for our regular product. Q: How long is the Production Lead Time9 A: 3 days for stock products, 15 days for OEM or order producing. Energy saving 48" or 56" solar AC DC kdk ceiling fan Feature Model Number Rated Voltage Rated Power Material color fan speed fan blades size DC-12V48A1 kdk ceiling fan 12V. 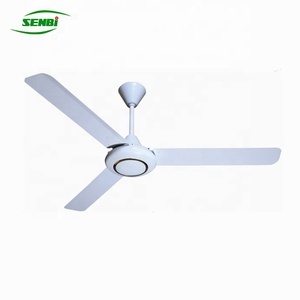 (18) solar powered,battery powered metal ceiling fan strong metal blade Easy for using: (1) Connect to 12V power: 1.12V solar battery of power interface; 2.12V emergency light battery of power interface; 3.Car of 12V power interface. AC Adapter (15V4A output) : Input: 100-240~ ; Output: 15V4A for DC Ceiling fan powered by AC 110V-240V or 35-40W solar panel solar DC ceiling fan series Our company Delivery Sample can be prepared in 1 day. Foshan Gemtec Electric Co., Ltd.
Foshan Yaxin Electrical Appliances Co., Ltd.
Foshan Shunde Fulv Zhengyang Electrical Co., Ltd.
is a 20 years experience specialized manufacturer of various types of fans. 2.we supply spare parts for free on the basis of a certain quantity. 4.Customer make the payment for deposit and send us Bank receipt. Alibaba.com offers 707 kdk fan products. About 74% of these are fans, 18% are axial flow fans, and 1% are other ventilation fans. A wide variety of kdk fan options are available to you, such as ce, cb, and ccc. You can also choose from wall mounted, ceiling, and pedestal. As well as from air cooling fan, ventilation fan, and bathroom fan. And whether kdk fan is electric, solar, or battery. There are 688 kdk fan suppliers, mainly located in Asia. The top supplying countries are China (Mainland), Malaysia, and United States, which supply 94%, 4%, and 1% of kdk fan respectively. Kdk fan products are most popular in Mid East, Africa, and Southeast Asia. You can ensure product safety by selecting from certified suppliers, including 276 with ISO9001, 72 with Other, and 18 with ISO14001 certification.